Ships today if you order in the next 13 hours 56 minutes. A number of factors can have negative effects on your immune system, including a poor daily diet, frequent travel, and high levels of stress for prolonged periods of time. 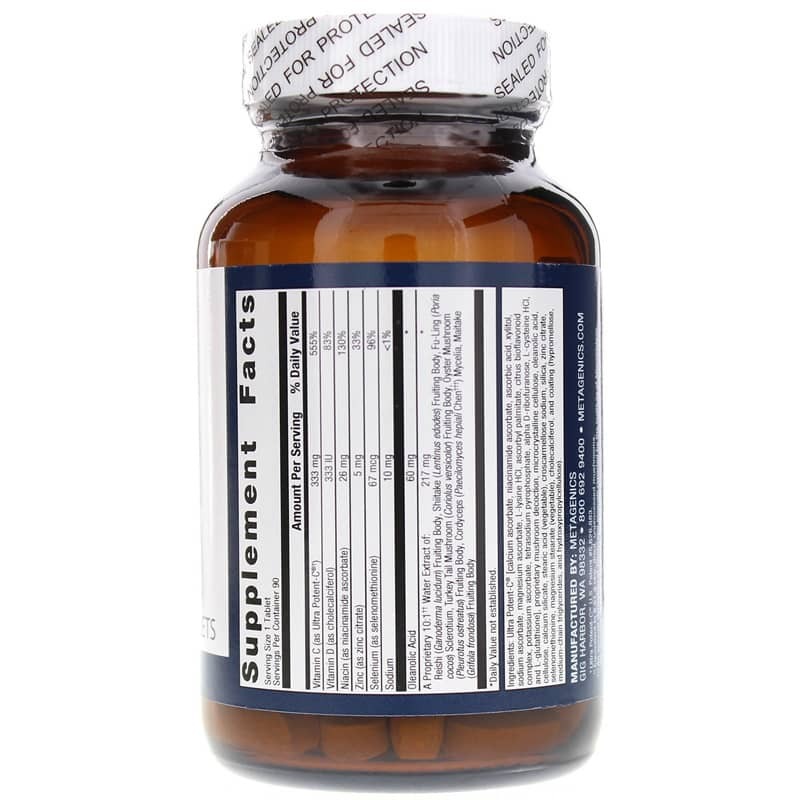 If you're looking for a supplement that may help maintain optimal immune system health, Metagenics offers a great option. ImmuCore is an all-natural supplement that delivers a number of nutrients that may help maintain optimal immune system health and function. 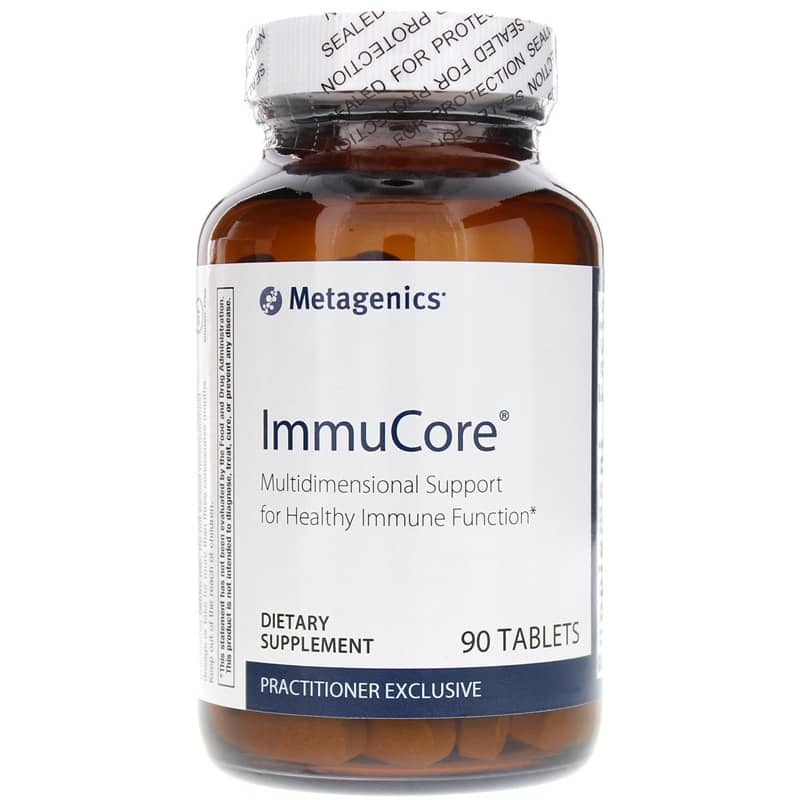 Metagenics ImmuCore is made without the most common food allergens, including dairy, gluten, soy, and wheat, and contains no artificial colors, sweeteners, or preservatives. Give it a try today and support a healthy immune system and maintain a healthier immune function. Order now! 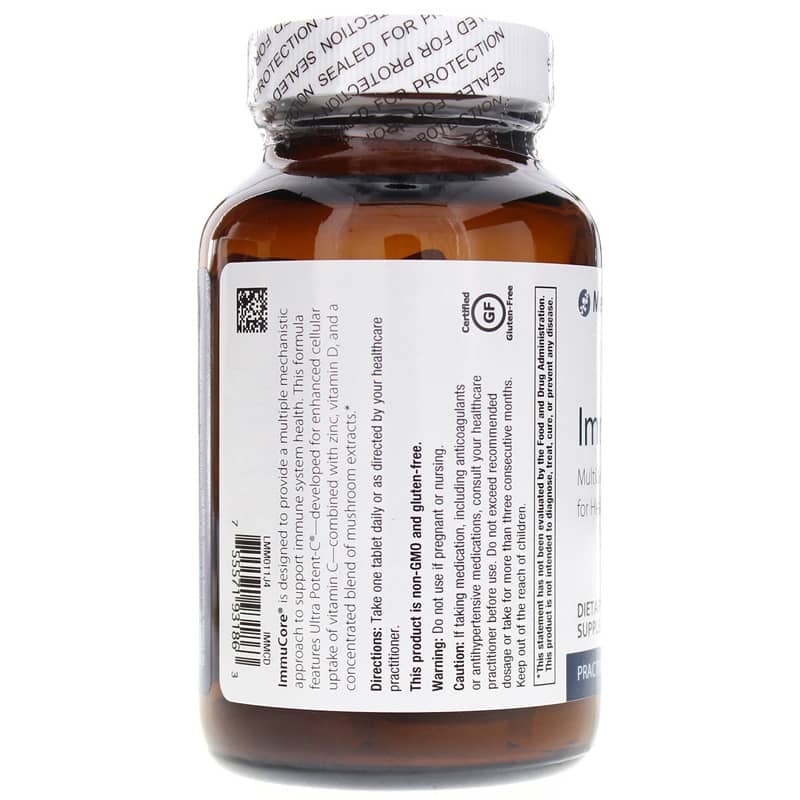 Other Ingredients: Ultra Potent-C [calcium ascorbate, niacinamide ascorbate, ascorbic acid, xylitol, sodium ascorbate, magnesium ascorbate, L-lysine HCl, ascorbyl palmitate, citrus bioflavonoid complex, potassium ascorbate, tetrasodium pyrophosphate, alpha D-ribofuranose, L-cysteine HCl, L-glutathione], proprietary mushroom decoction, microcrystalline cellulose, oleanolic acid, cellulose, calcium silicate, stearic acid (vegetable), croscarmellose sodium, silica, zinc citrate, selenomethionine, magnesium stearate (vegetable), cholecalciferol, coating (hypromellose, medium chain triglycerides, and hydroxypropylcellulose). Do not use if pregnant or nursing. CAUTION: If taking medication, including anticoagulants or antihypertensive medications, consult your healthcare practitioner before use. Do not exceed recommended dosage or take for more than three consecutive months. Keep out of the reach of children. Thanks for offering this product. It has been helpful for me and recommended by my naturopathic doctor. I keep this in stock at all times. The moment I feel a virus starting I begin to take it. It boosts the immune system and is great.